Papas Café is located in Alam Kul Kul Resort in Pantai Kuta street, and it is famous as the open-style restaurant in front of Kuta Beach. 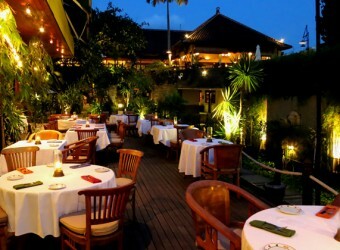 They serve delicious Italian dishes with selected fresh ingredients. They import seeds of vegetable and plant in Budugul! You can enjoy sunset during dinner time. Please spend romantic time!